Variety is the spice of life when it comes to Lake Tahoe communities. If you live here long enough, you stop seeing the lake as a region. It’s because all those little communities surrounding the lake — from the 25,000 people in South Lake Tahoe to the 250 in Carnelian Bay — have fierce local identities they do not want to lose. This guide will help you understand where you are as you tour the area. This luxury village is home to some of the wealthiest people in the world. When you drive through, take Lakeside Drive to view the large estates that border the lake on the northeast side of the lake. Only 5 miles from the casinos and 30 miles from Reno, Incline Village offers private beaches to its residents and some guests and beautiful views of the West Shore. 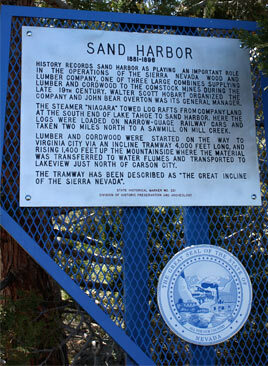 Just west of Incline Village, Kings Beach sits atop Lake Tahoe. With easy access to Truckee, the casinos and the lake, Kings Beach truly lives up to its name. And it’s only going to get better. With $48 million in improvements scheduled for the downtown corridor, the future of Kings Beach will see easy access for visitors between the shopping areas and the recreation area, filled with volleyball courts, sandy beaches and barbecue spots. Also, look for the free concerts and art shows this summer. Just north of Kings Beach on Highway 267, halfway between Truckee and the lake, Northstar is an up-and-coming resort area that is filled with summertime activities. Best known for its shopping — jewelry, kids’ clothing, outdoor gear, you name it — and its mountain biking, Northstar is perfect for an afternoon with the kids. Also home to the $300 million Ritz Carlton, Lake Tahoe and a multi-million redeveloped base area, Northstar will play host to a number of fun summer festivals and events. The town of Truckee is the gateway to the lake. With a rich history of saloons, gunslingers and other Wild West fantasies, it works hard to keep its local charm while playing host to the thousands of guests who stay in the area each year. With nearby Donner State Memorial Park and a downtown shopping area, Truckee can entertain visitors with some time on their hands. In the summer, the town comes out every Thursday in the downtown area to show off area merchants, share stories and hang out as a community. Halfway between Truckee and the lake on Highway 89, Squaw Valley USA is best known as a great winter ski resort and home of the 1960 Winter Olympics. But the little known secret is that Squaw’s summers are pretty fun, too. The Tram Car takes visitors up to the top of the mountain to enjoy wonderful lake views, a swimming pool, restaurant, bar and, on occasion, live music. The base area provides shopping and family activities, and plenty of parking. Just a couple miles south of Squaw, Alpine Meadows is a mountain area that offers plenty of hiking, biking and exploring. Paired with a laid-back local feel, Alpine Meadows is worth a stop in the summer. And if you ski, definitely make a trip back for Cornology — what the resort calls its science of skiing spring snow. On the northwest side of the lake, Tahoe City is a perfect little hamlet for visitors to enjoy the quiet of the lake while having plenty of entertainment options close by. With good restaurants and easy access to a public beach, Tahoe City has everything you need. Try the free Sunday afternoon concerts on the beach, and the best golfing deal around at Tahoe City’s nine-hole course. On the West Shore just south of Tahoe City lies Homewood, a small winter ski resort that hosts concerts and other entertainment in the summer. Homewood is one of the most beautiful places to stay as it is surrounded by old-growth elm and pine trees and sits just yards from the lake. This small little neighborhood on the West Shore offers luxurious views of the lake, and great access to nearby state parks. Meeks Bay has its own fire station, one of the few developments other than homes in this classic Tahoe vacation spot. 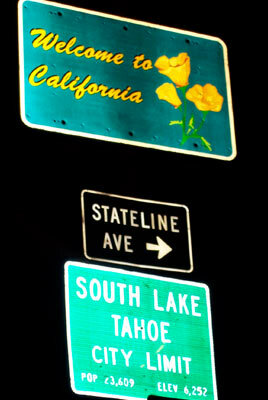 The largest of the cities around Lake Tahoe, South Lake has a large variety of entertainment options. The area’s biggest casinos bring in the area’s biggest acts, so if nightlife is what you’re looking for, make a trip to South Lake. If you want to stay out of the car, South Lake is a bicycle-friendly designated community, so rent a bicycle and enjoy the region’s many scenic rides. 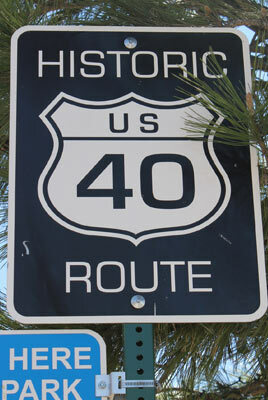 Just south of South Lake Tahoe, Meyers is a funky town that is home to many locals in the region. If you’re looking for a trip off the beaten path, try lunch or dinner in Meyers, and come back telling about the “real” Tahoe. About one hour south of the lake, Kirkwood is a ski resort with plenty of summertime options, including shopping, lodging, biking, hiking and fly fishing. Heavenly Village also offers shopping selections and gondola rides during the summer and is perfect for a family. The gondola will take you to gorgeous views of the lake, and the hike back to town is perfect for those who are in shape — or want to be. Located on the southeast part of the lake, Zephyr Cove is a historic area. Businesses nearby offer a slew of fun activities including cruises aboard the M.S. Dixie, horseback riding, kayaking, parasailing or boating. On the East Shore of Lake Tahoe, historic Glenbrook epitomizes the idea of rural and lake. Only 150 acres of the town have been developed, leaving homeowners and visitors undisturbed serenity and unique recreational opportunities. With sandy beaches, boat launches, picnic spots and access to world-class biking, hiking and fishing, it is no wonder Sand Harbor is one of the most popular spots on the lake. You can catch the Flume Trail and the Tahoe Rim Trail nearby while exploring the backcountry between Lake Tahoe and Carson City.